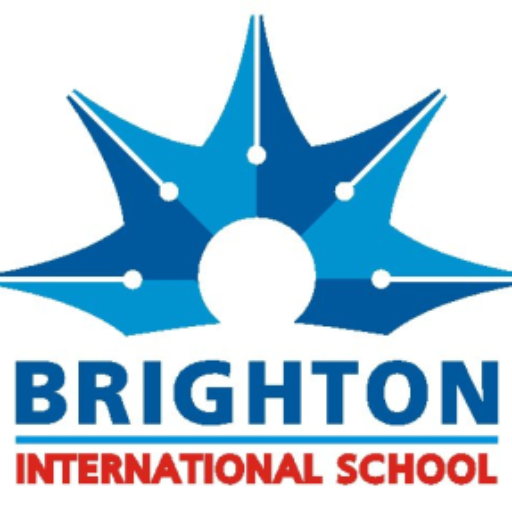 These terms and conditions apply to the User who uses the Online Services provided for any payment made to Brighton International School (BIS). Kindly read these terms and conditions carefully. By authorizing a payment to BIS through the online payment service ("the service"), it would be treated as a deemed acceptance of these terms and conditions. BIS reserves all the rights to amend these terms and conditions at any time without giving prior notice. It is the responsibility of the User to have read the terms and conditions before using the Service. Brighton International School is under the aegis of Pratistha Educational Society. Brighton International School bank Account Number which can be used for Internet Banking if a parent would like to add as a beneficiary and doesn't want to use Payment Gateway Account name: Brighton International School Bank: Kotak Mahindra Bank Branch: Pandri, Raipur IFSC Code: KKBK0006402 Bank Account Number: 5412211044 Problem with an order or payment: Please talk to us on +91 97550 93960 or email us at accounts@brightoninternational.in. Key terms: The following is a summary of the key terms of this service: •	Payment(s) through this Service may only be made with a Credit Card, Debit card or Net Banking. •	Before using this Service, it is recommended that the user shall make the necessary inquiry about the charges or fees payable against the Credit/Debit card used from Credit Card or the Debit Card service provider i.e. the respective Bank. •	The credit card information supplied at the time of using the service is processed by the payment gateway of the service provider and is not supplied to BIS. It is the sole responsibility of the User of the service to ensure that the information entered in the relevant fields are correct. It is recommended that you take and retain a copy of the transaction for record keeping purposes, which might assist in the resolution of any disputes that may arise out or usage of the service •	The Applicant agrees, understands and confirms that his/ her personal data including without limitation details relating to debit card/ credit card/net banking transmitted over the Internet may be susceptible to misuse, hacking, theft and/ or fraud and that BIS or the Payment Service Provider(s) have no control over such matters. •	The service is provided using a payment gateway service provider through a secure website. However, neither the payment gateway service provider nor the BIS gives any assurance, that the information so provided online by a user is secured or may be read or intercepted by a third party. BIS does not accept or assume any liability in the event of such unauthorized interception, hacking or other unauthorized access to information provided by a user of the service. •	BIS and/or the Payment Service Providers shall not be liable for any inaccuracy, error or delay in, or omission of (a) any data, information or message, or (b) the transmission or delivery of any such data, information or message; or (c) any loss or damage arising from or occasioned by any such inaccuracy, error, delay or omission, non-performance or interruption in any such data, information or message. Under no circumstances shall the BIS and/or the Payment Service Providers, its employees, directors, and its third party agents involved in processing, delivering or managing the Services, be liable for any direct, indirect, incidental, special or consequential damages, or any damages whatsoever, including punitive or exemplary arising out of or in any way connected with the provision of or any inadequacy or deficiency in the provision of the Services or resulting from unauthorized access or alteration of transmissions of data or arising from suspension or termination of the Service. •	The Applicant agrees that BIS or any of its employees will not be held liable By the Applicant for any loss or damages arising from your use of, or reliance upon the information contained on the Website, or any failure to comply with these Terms and Conditions where such failure is due to circumstance beyond BIS’s reasonable control. Debit/Credit Card, Bank Account Details: •	The Applicant agrees that the debit/credit card details provided by him/ her for use of the aforesaid Service(s) must be correct and accurate and that the Applicant shall not use a Debit/ credit card, that is not lawfully owned by him/ her or the use of which is not authorized by the lawful owner thereof. The Applicant further agrees and undertakes to Provide correct and valid debit/credit card details. •	The Applicant may pay his/ her application/initial fees to BIS by using a debit/credit card or through online banking account. The Applicant warrants agree and confirm that when he/ she initiates a payment transaction and/or issues an online payment instruction and provides his/ her card/bank details: o The Applicant is fully and lawfully entitled to use such credit/debit card, bank account for such transactions; o The Applicant is responsible to ensure that the card/ bank account details provided by him/ her are accurate; o The Applicant authorizes the debit of the nominated card/ bank accounts for the Payment of fees selected by such Applicant along with the applicable Fees. o The Applicant is responsible to ensure that sufficient credit is available on the nominated card/ bank account at the time of making the payment to permit the Payment of the dues payable or fees dues selected by the Applicant inclusive of the applicable Fee. Changes and Cancellation: Changes and Cancellation not allowed. Refunds: Refunds initiated will be credited to the account/card from where the transaction had initiated. No warranty: No warranty, representation or guarantee, express or implied, is given by the BIS in respect of the operation of the service. Disclaimer and Limitation of liability: BIS does not accept liability for any damage, loss, cost (including legal costs), expenses, indirect losses or consequential damage of any kind, which may be suffered or incurred by the User from the use of this service. Governing law: The laws of India govern these terms and conditions and the competent courts at Raipur (Chhattisgarh) shall have exclusive jurisdiction. Dispute Resolution: Any dispute arising in relation to the terms and conditions will be submitted to a sole arbitrator appointed by BIS under the provisions of the Arbitration and Conciliation Act, 1996 and rules framed there under. The venue of Arbitration shall be at Raipur Chhattisgarh. Refund/Cancellation Policy: Fees once paid will not be refunded under any circumstances. Online Payment Process. Variations to the Terms and Conditions: The BIS reserves the right to vary these Terms and Conditions from time to time and the current version will be that published on this website. We reserve the right to decline the acceptance of an online payment if your account is in default for any reason. Brighton International School may also make additions/deletions/alteration to the services offered, at its sole discretion. We reserve the right to withdraw the service at any time at its discretion. We retain the right to change the terms and conditions for Online Fees Payments, without any prior notice.